As a photographer for the Journal Gazette I get sent on quite the variety of assignments. I’ve been to fund raisers, golf outings, sporting events and now, I can say, I’ve been to the ballet. 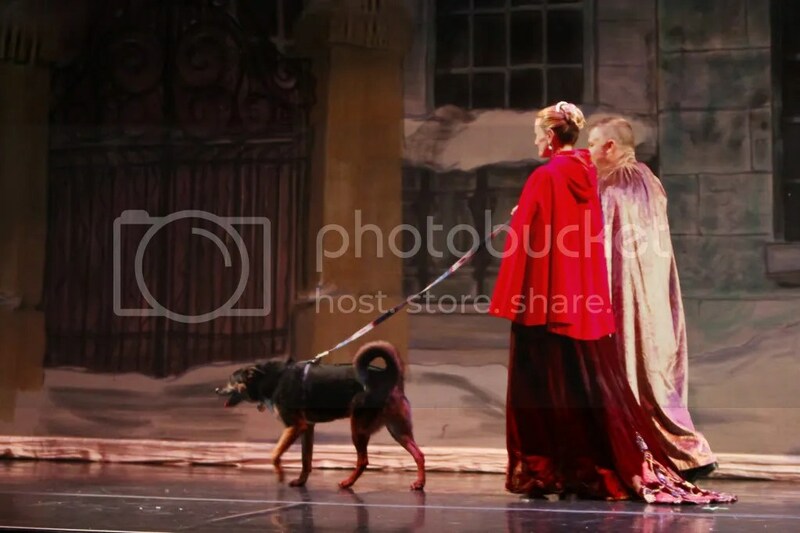 My most recent photo job was to cover The Nutcracker, presented by The Fort Wayne Ballet. Since I had never been I had no idea what to expect. Now, I had ballet classes as a child. Tap dance too. Yes, I’m well rounded. But I’ve never been to a ballet performance. Theatre? Yes. Ballet? No. And guess what?? I enjoyed it! 😉 So much so that I thought I’d share with you. Our local production does a unique thing with their presentation of the holiday classic. Each performance features two dogs that are up for adoption from the local shelter. How cool is that? They call this part of the presentation The Muttcracker. Hahahaha! Wonderfully, all the dogs featured last year were all given homes. I’m hoping that this year’s canine performers will be just as lucky. Art with a heart! Love it! The Snow Queen. Technically this photo is no good. I cut off her toes. 😦 But it speaks to me. Her grace and seeming peace in this photo made it a keeper. Plus, I loved the softly falling snow that the dancers were seemingly floating thru as they danced. So, even though technical “rules” should always be considered, the feelings the photo conveys should (almost always) trump them. So, in the course of simply doing my job tonight I was shown a new world of delight. A Fort Wayne tradition that just may make its way into my calendar next year, and the years to come.